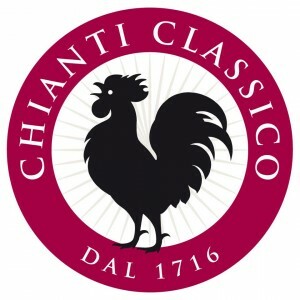 Chianti Classico takes off for France on the tailwinds of fine figures from overseas: last year’s exports to North America accounted for nearly 50% of sales. In Bordeaux from June 16 to 20 there will be more than 70 Black Rooster labels to be tasted at the consortium’s stand (Hall 1 – DE131/E130). In its previous, 2011, edition alone, Vinexpo drew 2400 exhibitors, 48,122 dealers from 148 countries and 1,254 wine journalists and communication experts. These are just some of the numbers that through the years have made Vinexpo the biggest wine-world show, an event at which to meet, discuss and reflect for the 50,000 visitors expected for the 2013 edition, held in Bordeaux from June 16 to 20. As always in Bordeaux, one of the most popular stands is the Black Rooster’s, a rival – together with other great Italian wines – of the finest French crus, and this year it goes to France delighted by heavy growth on foreign markets, with 47% of “Classico” sales on the North American continent alone. Figures that auger well for the future, above all in the light of the effects that the recent revamping of the denomination will have in coming months. The changes approved in January to Chianti Classico production regulations, such as creation of the top-positioned Gran Selezione, are, in fact, aimed at further improving the quality of a product enjoying market confidence, although the bureaucratic procedures required for making these measures operative will be concluded only this coming fall. Vinexpo provides an ideal setting in which to inform the entire wine world of what Chianti Classico is today and will become, through the presence of the many wineries exhibiting in Bordeaux at consortium “headquarters”, this year located in the tradeshow’s “historic” hall and featuring a 120-square-meter stand (Hall 1 – DE131/E130) within the Tuscany Region area. The stand will host 16 wineries within its own independent space and offer the customary consortium tasting, this year of 74 labels of Chianti Classico Annata and Riserva from 39 different wineries. “After two years we return to Bordeaux as proud as ever of being one of the leading brands at the show, but with even greater confidence than in 2011”, says Sergio Zingarelli, president of the Chianti Classico Wine Consortium. “The sales registered in the past two years auger well for a definitive exit from one of the hardest recessions to hit the world in decades. Our recipe has always been the same: improving quality while respecting the territory that hosts us, of which we are fortunate to be the prime custodians”. 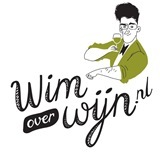 Dit bericht is geplaatst in Internationaal met de tags Black Rooster, Chianti Classico, Vinexpo. Bookmark de permalink.